Al Qaeda is setting conditions in the Sahel that will threaten US and European interests. The Sahel is the transitional zone between Northern Africa and Sub-Saharan Africa. 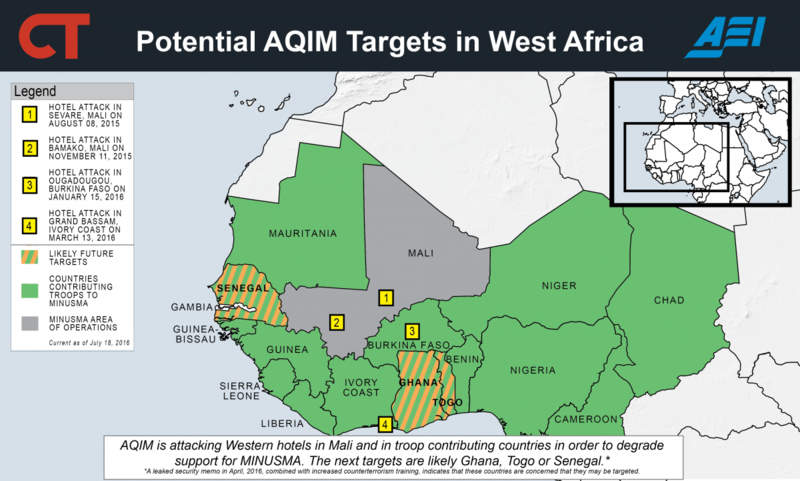 Al Qaeda’s affiliate there, al Qaeda in the Islamic Maghreb (AQIM), is developing capabilities that threaten American interests in West Africa in a way that does not raise red flags in Washington. Its operations seem to be part of localized fighting, and its attacks remain below the threshold for a US or Western response. However, the combination of its objectives, close ties to al Qaeda, support from aggrieved populations, and ability to field and regenerate advanced attack capabilities make it a potent long-term threat. Western leaders make a serious mistake in underestimating the danger AQIM will pose in the future. Its ultimate aim is to establish Islamic emirates in Africa that will unify into a caliphate. AQIM is building a network among populations that do not necessarily share its ideology by successfully co-opting ethnic disputes and grievances in Mali. 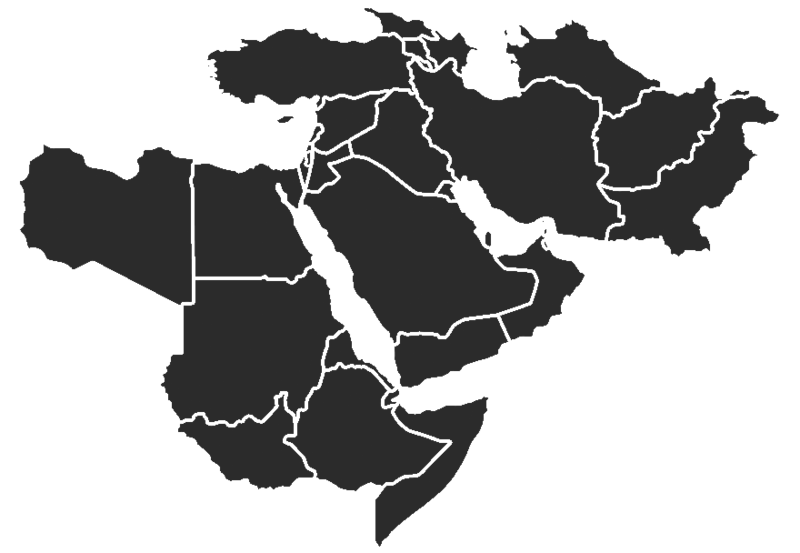 These methods are similar to those used by other al Qaeda affiliates, such as Jabhat al Nusra in Syria and al Qaeda in the Arabian Peninsula in Yemen.3 Integration into the local population will complicate future efforts to disaggregate and degrade AQIM’s network. 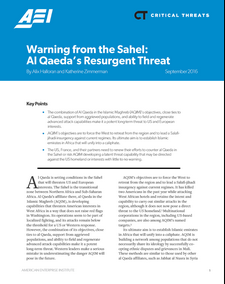 The increasing sophistication of AQIM’s attacks is a dangerous sign that the group is gaining strength despite ongoing international counterterrorism operations. It can now conduct attacks from the southern coast of the Mediterranean Sea down to the Gulf of Guinea—a dramatic expansion of its reach over the past few years. It fields advanced terrorist capabilities in Mali, reconstituted after the 2013 French military intervention, and can use these capabilities against targets hundreds of miles away from its Malian sanctuary. Western efforts to contain, let alone defeat, al Qaeda in the Sahel region are failing. 1. Thomas D. Waldhauser, “Advance Police Questions,” testimony before the Committee on Armed Services Committee, US Senate, June 21, 2016, p. 7, http://www.armed-services.senate.gov/imo/media/doc/ Waldhauser_%20APQs_06-21-16.pdf. 2. SITE Intelligence Group, “AQIM Officials Calls to Attack Multinational Corporations, Western Capitals,” September 29, 2015, http://www.siteintelgroup.com (subscription required). Abu Obeida Yusuf al Annabi, the head of AQIM’s Council of Notables, called for targeting the capitals, major cities, political institutions, and economic centers of “crusader” countries. He specifically called for targeting multinational companies because of their global footprint and their role in international decision making. 3. See Katherine Zimmerman, “AQAP: A Resurgent Threat,” American Enterprise Institute, Critical Threats Project, September 11, 2015,http://www.criticalthreats.org/yemen/zimmerman-aqap-resurgent-threat-september-11-2015; and Jennifer Cafarella, “Jabhat al-Nusra in Syria,” Institute for the Study of War, December 2014, http://www.understanding war.org/report/jabhat-al-nusra-syria. Currently receiving 0 of 9 possible notifications for this sort of content.